Coming off an episode as explosive as last week’s “Brother’s Keeper,” which paid off so many of the subplots that had been simmering all season, represents a formidable challenge for the writers. Logically, the hour should be denouement, but there are four episodes left, so “Debts And Accounts” must do two seemingly contrary things at once: Take stock of the profound, life-changing events that have just taken place and regain momentum for the homestretch. And for the most part, tonight’s Justified has done both brilliantly. As the title suggests, “Debts And Accounts” is mostly about the characters figuring out how to settle their lives in the wake of the Black Pike deal, Coover’s death, Boyd’s criminal resurgence, and Raylan and Winona’s chicanery. In other words, it’s a great morning-after episode, where everyone’s nursing a hangover from a night they’re eager to put behind them. The gears don’t move quite as efficiently in setting up the last three episodes of the season, but the scenes of reckoning early in the episode are Justified at its best. Throughout the season, Justified has done well with punchy pre-credits scenes—nothing will ever top The Shield (and maybe another Shawn Ryan show, Terriers) in this department, but it’s getting closer—and the talk between Art and Raylan that opens this episode is a doozy. Art knows what Raylan has done. 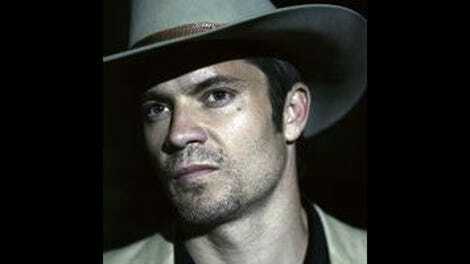 Raylan knows Art knows. And so Raylan wonders where their relationship stands, since Art hasn’t moved to punish, expel, or possibly convict Raylan, and hasn’t said anything about it. They can’t even say what the thing is during this conversation, but it’s a devastating scene for Raylan, who’s reduced to looking like the chastened child whose father is so disappointed in him that he’s beyond anger. Art twists the knife in a few different directions, calling Raylan a good lawman but a lousy marshal and speculating that he likely won’t be alive long enough for them to sort out the problem. But the really stinging blow, to me, is the suggestion that their friendship—always implied in the past, even when Art was pissed at him—is the true victim of Raylan’s misdeeds. To Art, there’s now no scenario in which the two of them can look back on their time together many years from now and tell stories and laugh. At the same time, Mags is going through similar routine with Dickie, who’s become the Raylan of the Bennett operation, a rogue turned pariah. Mags blames Dickie for Coover’s death, for going against the family more than once, and for generally violating her trust. Her allowance to him is stunningly cold: The weed business (sans Coover, who was a savant genius at growing it), nothing else. The future of the family is with Doyle, of all people, and she’s going into business with Boyd Crowder, who we later learn is ready to stake a claim for his own family in Harlan. (Mags taking on Boyd strikes me as a scorpion-and-the-frog scenario—or would strike me that way if they weren’t both scorpions.) In any case, Mags seems much more willing to evolve her operation past marijuana than she originally claimed; if she’s content to let the coal company destroy the region at will, she isn’t likely to have qualms about other types of destructive business. The newly empowered Boyd takes exciting steps in this episode to set up shop again—and put Dickie in his place in the process—but on the relationship side of things, “Debts And Accounts” revealed some relative weaknesses, particularly with the Winona situation. Her ongoing issues with the divorce from Gary and the uncertainty with Raylan are starting to feel conspicuously disconnected from the rest of the action. Perhaps relationship talk like that between she and Raylan is doomed to seem less exciting when up against scenes of criminal intrigue. Yet as it stands, Winona and Raylan are not only becoming a drag on each other’s lives, but a drag on the show as well. We have yet to see how Gary’s dealings with Jere Burns’ Wynn Duffy play out, but the many conversations between Winona and Raylan over their future together are getting as exhausting to me as they must be for them. In a weird way, Winona’s misdeeds hasn’t changed that reality at all. • I never get a chance to say how great Nick Searcy is as Art on this show. So I’ll say it here: He’s really great. The writers give him some great colloquialisms (“You opened this can. Let’s eat it all.”), but Searcy brings an imposing presence and a wry sense of humor to the role. • Bringing Ava closer to Boyd, even as he slips back into criminality, is an excellent idea, because she has been a little removed from the action all season. To a degree, she knows what casting her lot with a Crowder is all about, yet I’m guessing she might pause before going with him off the moral abyss. • A sweet scene between Raylan and Loretta, who’s trying to figure out how to make her terrible, lonely situation less terrible and lonely. What pained me about the scene is how poorly Loretta regards her “pitiful” father, whom she doesn’t realized died in an effort to protect her from harm. 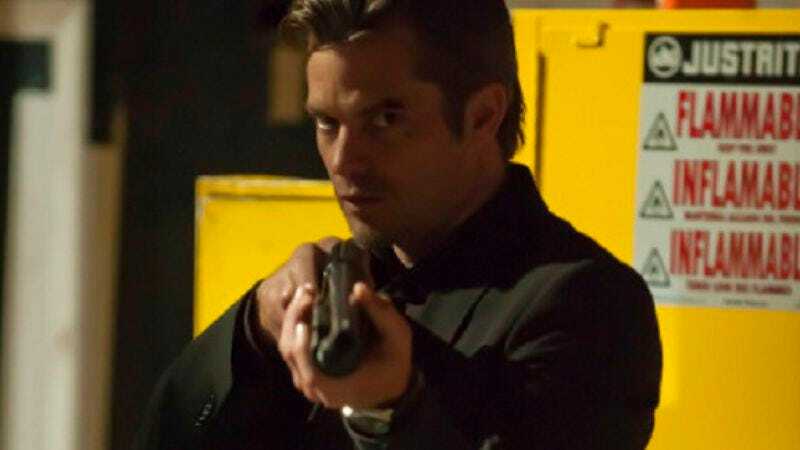 • So who’s shooting at Raylan now? Plenty of candidates. Art called it.